Elizabeth works as a political economist at the University of Technology Sydney, and is the UTS Student Ombud (2019-2021). Her latest research projects are on: labour, neoliberalism and anti-politics; climate related heat stress events and work; and, the deaths of 35 workers when the West Gate Bridge collapsed in 1970. Her book How Labour Built Neoliberalism was released this year (2019) with Brill’s Studies in Critical Social Sciences series. 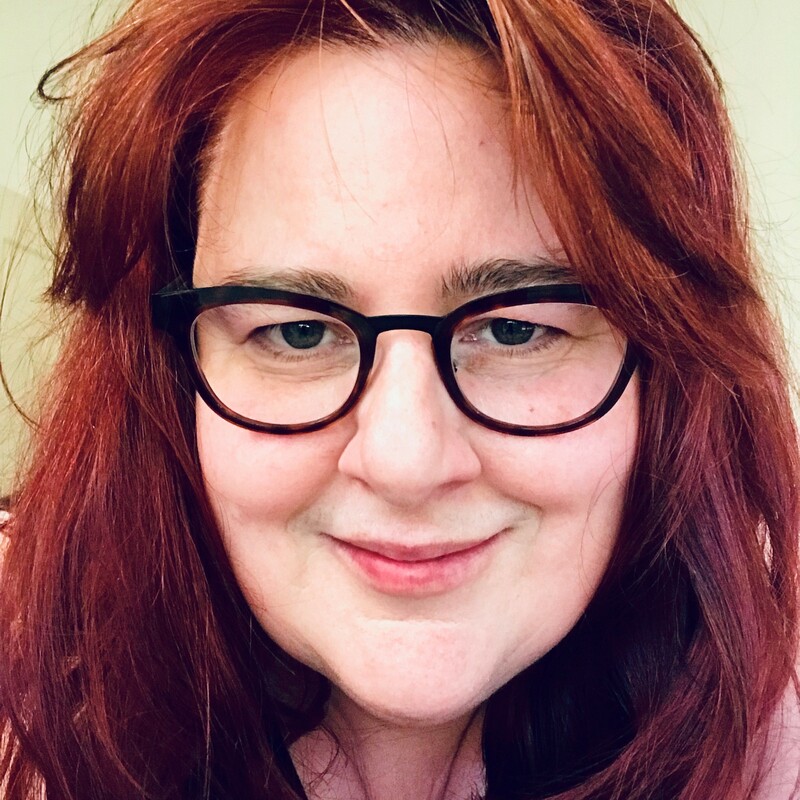 Elizabeth is the 2019 and inaugural Dr A M Hertzberg fellow at the NSW State Library, and an Associate of the Centre for Future Work at The Australia Institute. She is on the Editorial Collective of the Journal of Working Class Studies and is a co-convenor of The Australian Sociological Association’s 'Work, Employment and Social Movements' thematic group (2017-present). In 2013 she held a WZB/Sydney Fellowship at the Social Science Research Centre Berlin. Prior to her PhD, Elizabeth worked as an investigator for the NSW Ombudsman, in research and policy for a number of universities and non-government organisations, and as an advisor to a member of the NSW Parliament. Humphrys, ET 2019, How Labour Built Neoliberalism, Brill, Leiden. Why do we always assume it was the New Right that was at the centre of constructing neoliberalism? How might corporatism have advanced neoliberalism? And, more controversially, were the trade unions only victims of neoliberal change, or did they play a more contradictory role? In How Labour Made Neoliberalism, Elizabeth Humphrys examines the role of the Labor Party and trade unions in constructing neoliberalism in Australia, and the implications of this for understanding neoliberalism's global advance. These questions are central to understanding the present condition of the labour movement and its prospects for the future. © 2019, © 2019 Informa UK Limited, trading as Taylor & Francis Group. Numerous scholars have identified the 'neoliberal thought collective' as the key driver of the neoliberal transformation. These accounts emphasize the building of neoliberal hegemony through the mobilization of this collective, and the New Right parties who aligned to these ideas. We argue that Australia's corporatist road to neoliberalism pushes against this thesis, as the movement found little sympathy among policy makers. Rather, the thought collective acted more like a 'ginger group', attempting to radicalize public debate and create space for new neoliberal arrangements. In Australia, successive centre-left Labor governments rolled out neoliberalism in a series of formal corporatist arrangements with the trade union movement. This paper sets out a reconsideration of the role of the thought collective, on the basis of the Australian experience, and argues this can move us beyond the ideational determinism that has come to characterize key accounts of how neoliberalism developed. © 2018, © The Author(s) 2018. Given recent calls for a new social contract between the unions and government, it is timely to consider the relationship of the Australian Labor Party (ALP) and Australian Council of Trade Unions (ACTU) prices and incomes Accord (1983–97) to the construction of neoliberalism in Australia. Contrary to most scholarly accounts, which posit the ALP and ACTU prices and incomes Accord and neoliberalism as exogenously related or competing processes, this article argues they were internally related aspects of economic transformation. The implementation of the Accord agreement deepened Australia's existing corporatist arrangements while simultaneously advancing neoliberalism within a highly structured political-economic framework. © 2018, © The Author(s) 2018. Despite the impact of global economic crises and, more recently, the international shockwave of populism, neoliberalism persists as a framework for policies, policymakers and social orders. In Australia, debate about neoliberalism was largely initiated by the publication of Economic Rationalism in Canberra in 1991. This special section of the Journal of Sociology has been compiled to mark the impact of this seminal text over the past quarter of a century. The contributions to this section outline the evolution and transformative impact of neoliberalism locally and globally, and especially highlight current work by early-career researchers in Australia. As well as acknowledging competing interpretations of neoliberalism, this introduction summarises emerging scholarship in economic sociology by focusing on: the rhetoric of policymaking; the rollout of neoliberal policies in Australia and comparisons with international experiences; the impact of neoliberalism on social movements and social activism; and its ongoing role as a frame of reference for everyday work and life. This article traces a line of theorisation regarding the state-civil society relationship, from Marx's early writings to Gramsci's conception of the integral state. The article argues that Marx developed, through his critique of Hegel, a valuable understanding of the state-civil society connection that emphasised the antagonism between them in capitalist societies. Alternatively, Gramsci's conception of the 'integral state' posits an interconnection and dialectical unity of the state and civil society, where the latter is integrated under the leadership of the former. The article argues that while Marx and Gramsci's positions are, at first, seemingly incongruous ideas – as to the 'separation' in Marx and 'integration' in Gramsci – this tension can be bridged when the integral state is understood as being always necessarily unstable. The article argues that this framework can help us understand the contemporary breakdown of political rule in the phenomenon known as 'anti-politics'. Critical explanations of neoliberalism regularly adhere to a dominant narrative as to the form and implementation of the neoliberal policy revolution, positing neoliberalism in its vanguard period as a project implemented by governments of the New Right, imposed coercively on civil society by state elites and only subsequently adopted by social democratic parties. In such accounts, labour is typically posited as the object and victim of neoliberalising processes. In contrast, this article focuses upon the active role of labour within the development of neoliberalism. The period of social democratic government in Australia (1983–1996) is used as a case study to illuminate labour's active role in constructing neoliberalism. Indicative evidence from the USA and UK is then presented to argue that the agency of labour can usefully be 'written in' to the presently dominant narrative regarding the rise of neoliberalism to provide a more satisfactory account of its nature and resilience over time. Humphrys, ET & Tietze, T 2016, 'Balancing Act: Correspondence (reply to George Megalogenis)', Quarterly Essay, vol. 62. Humphrys, E. 2015, 'From global justice to occupy everywhere', Overland. Humphrys, E 2013, 'Within or Against the State', Jacobin. In the final chapter of Capital: Volume 1, Karl Marx discusses E.G. Wakefield's insights into the colony in the Swan River district in Western Australia and pokes fun at the 'unhappy Mr Peel' (1976: 933). Despite Thomas Peel's foresight to bring 'means of subsistence and production to the amount of 50,000 [pounds sterling]', along with 300 working class persons, he failed to arrange for 'the export of English relations of production' to the isolated district (ibid.) (1). In the years that followed the colony's establishment in 1829, it approached collapse. Unable to generate capital and extract surplus labour, by the early 1840s colonists were petitioning for the first 'free' colony of Australia to introduce convict transportation (2). It was ultimately through the introduction of unfree labour to Swan River in 1850 that capitalist social relations were able to advance, and almost 10,000 convicts were relocated to the location by 1868, when transportation ceased (Battye, 1924: 197). It is now obvious to all but the most deluded supporters of the dominant economic order that a promised global economic recovery has not occurred. At the time of writing more than five years have passed since the collapse of the US subprime mortgage market. Economic stagnation and unemployment dominate American politics, repeated efforts to use austerity to stabilize the Eurozone have not just brought peripheral nations like Greece and Spain closer to default but threaten the ruination of entire societies, and international trade and financial transactions remain volatile and depressed. All these phenomena are symptomatic of a deep and prolonged global recession, surpassed in historical terms only by the Great Depression. While most focus in the mainstream media is on the world's advanced capitalist economies, the Global South's situation (with only a few exceptions) is stagnant and has in most places regressed. Even continued expansion in China, seen as a potential new powerhouse of global growth, needs to be set in the context of its relatively small economic size when compared with the vast swathes of rich capitalism that have sunk into protracted malaise. This article overviews the following three articles in the journal, which arise from the 2008 conference Other Worlds 2: After the Neo-Con Men. The article responds to an issue raised across the papers regarding social movement knowledge and theory: what is the tension between analysis produced inside the academy and that which arises from within movements. And how can theory can be developed in a way that both takes into account the viewpoint and needs of the historical players whose activity is shaping the future (social movement actors) and the wider social forces that give rise to and shape the struggles those players are involved in. It is argued that the new movements around globalisation and global justice have reasserted 'activism' as a key component of social movement analysis, challenging academics to engage with social movements in a more direct way and to ensure their output is relevant to that audience. It is argued that the concept of the `organic intellectuals, outlined by Italian Marxist philosopher Antonio Gramsci, has particular utility. Humphrys, ET 2019, 'Halcyon Days? The Amalgamated Metal Workers' Union and the Accord' in Smith, E, Piccini, J & Worley, M (eds), The Far Left in Australia since 1945, Routledge, UK, pp. 231-248. We are in the midst of the 30th anniversary of the period of the Accord social contract between the Australian Labor Party (ALP) and the Australian Council of Trade Unions (ACTU), which lasted from 1983 to 1996. The Accord was a national agreement on economic policy that profoundly reshaped the Australian political economy during the Hawke and Keating governments. The parties involved nowadays commonly view the Accord era as the high point of relations between the ALP and ACTU, and as being beneficial to workers in a period marked by the anti-worker policies of the New Right overseas. For many in theALP and the trade unions these remain halcyon days, awash with electoral successes only dreamed of in a contemporary era of low ALP primary votes, declining party and union membership, and the consolidation of a political challenger to the left of Labor in the form of the Australian Greens. Yet it was also an era where a Labour government, with the direct collaboration of the union movement, introduced a full suite of neoliberal economic reforms while workers acceded to a systematic,government-led program of real wage cuts–a process which bureaucratised, weakened and hollowed out previously powerful and militant union organisation.In recent years there have been calls for a new social contract between theunions and government from members of the ALP and the labour movement.These calls turn attention to the strategy of the Accord in the 1980s and 1990s, and of the role of far-left unions in backing or fighting it. Support for the Accord on the far left was not universal with a small number of union state branches opposing it, and small numbers of workers and activist organisations publicly campaigning against it.1 However, dissent was among a minority of workers who were largely disconnected from each other, and unable to alter the direction of the union movement away from supporting the social contract. © 2014 Springer-Verlag Berlin Heidelberg. All rights are reserved. This paper re-evaluates Frank Stilwell's still unmatched, detailed intellectual engagement with the Australian Labor Party and Australian Council of Trade Union's Accord. Stilwell's was an indispensible critique of the Accord's failure to fulfil expectations that it would provide a political-economic solution to both the economic crisis that ended the long boom, and the Left's resulting impasse. Stilwell's key contribution was to pose sharply the necessity of a political response to the crisis-of the economy, politics and the Left-when competing radical (including Marxist) analyses failed to respond to this challenge adequately. From this recognition, the analysis asks how we might extend Stilwell's work on the Accord from the vantage point of today's (post)-neoliberal era. It seeks to open up the question of the state in relation to the Accord, and to consider how progressive and working class movements related to it. The chapter proceeds from analysis that there was a protracted assimilation of the unions and labour into capitalist state imperatives via the Accord. Furthermore, that this incorporation into a hegemonic state project cannot be separated from the implementation of neoliberalism in Australia-a process ultimately counter to the interests of labour and which contributed to the political defeat of the working class movement. Humphrys, ET & Mansillo, L 2017, 'Anti-politics in Australia', Political Studies Association UK (PSA) Annual Conference, University of Glasgow. Humphrys, ET 2016, 'How Labour Made Neoliberalism', The Association of American Geographers, San Francisco. Humphrys, ET 2016, 'Destabilising Neoliberalism's Dominant Narrative', Australian Political Studies Association (APSA) Annual Conference, University of New South Wales. Humphrys, ET 2016, 'Anti-politics: From the Early Marx to Gramsci's Integral State', Australasian Historical Materialism Conference, University of Sydney. Humphrys, ET 2016, 'Australia Under the Accord: Simultaneously Deepening Corporatism and Advancing Neoliberalism', The Australian Sociological Association (TASA) Annual Conference, Australian Catholic University (Melbourne). Humphrys, E 2015, 'Gramsci's 'Integral State': Securing Neoliberalism in Australia', On 'Heroic Fury' and Questions of Method in Antonio Gramsci, University of Sydney. Humphrys, E 2015, 'Anti-Politics: The Antagonism Between Social and Political Logics', Australian Political Studies Association, University of Canberra. Most critical scholars posit that the Accord social contract is in competition with, or a buffer against, the roll-out of neoliberalism in Australia. However, the driving force and achievement of the Accord was its agenda of wage cutting and its role in driving the disorganisation of the labour movement — both also key objectives of neoliberal projects. Although corporatism, as a consensual process of political-economic decision making, appears on the surface inconsistent with neoliberalism, it is in fact deeply correlated in the case of Australia. This paper argues that when the Accord is analysed as a process of class rule, and as the form that neoliberalism took, its mechanisms and content are better understood. I use Gramsci's notion of the integral state to explore the reciprocal interpenetration and buttressing of 'political society' and 'civil society' (within a state-form) in the Accord era. Subsequently, I argue that the Accord ensured the state could secure the hegemonic project of the capitalist class, through the integration of organised labour into the dominant project. Humphrys, E 2015, 'The Accord after Thirty Years: Corporatism in the Neoliberal Era', 14th Biennial Australian Labour History Conference, University of Melbourne. Humphrys, E 2014, 'For a New State Debate', Historical Materialism Australasia, Sydney Mechanics' Institute of the Arts. Humphrys, E 2014, ''Abolishing the present state of things': Reconstructing Marx's critique of politics and the state', Historical Materialism, School of Oriental and African Studies (SOAS). Humphrys, E 2014, 'Labour and the Neoliberal Revolution', Australian Political Studies Association, University of Sydney. Humphrys, E 2013, 'The Lucky Country? The Impact of Global Protests in Australia', Reclaiming Democracy and Social Justice: From the Arab Spring to Occupy to…, University of Windsor, Canada. Humphrys, E 2013, 'How Labour Built Neoliberalism', Historical Materialism, School of Oriental and African Studies (SOAS). Humphrys, E 2011, 'Rethinking Gramsci's Organic Intellectuals', Alternative Futures and Popular Protest, Manchester Metropolitan University. Humphrys, E 2011, 'Understood in Their 'Originality and Uniqueness': Locating Gramsci's Organic Intellectuals in the Australian Global Justice Movement', Historical Materialism, School of Oriental and African Studies (SOAS). Humphrys, E 2010, 'The Naughties: The Rise and Fall of the Global Justice Movement in Australia', Empire to Commonwealth: Communist Theory and Contemporary Praxis, University of Wollongong. Humphrys, E 2012, 'To be Young Again: Social Movements in the Age of the Arab Revolutions Occupy and the Indignados', Historical Materialism Australasia, Sydney Mechanics' Institute of the Arts. Humphrys, E 2009, 'The Weight of the Event: The Crisis of the Global Justice Movement in Australia after 9/11', Crisis? Networks, Resilience, Disorder, University of Technology Sydney. Humphrys, E. 2007, 'From offence to defense: the impact on the global justice movement in Australia', Alternative Futures and Popular Protest, Manchester Metropolitan University, Manchester, UK, pp. 1-7. Humphrys, E. 2006, 'GLAM, QUEER and Quace: Sexuality meets anti-capitalism an the streets of Melbourne', Alternative Futures and Popular Protest, Alternative Futures and Popular Protest, Manchester Metroppolitan University, Manchester, UK. Humphrys, ET 2016, 'The Corporatist Origins of Neoliberalism: Australia's Accord, the Labour Movement and the Neoliberal Project'. This thesis examines the relationship of the vanguard period of neoliberalism in Australia to the Accord social contract, the latter being an agreement between the Australian Labor Party and Australian Council of Trade Unions from 1983 to 1996. The investigation focuses on the consensual incorporation of organised labour into a state-centred political project to revive capital accumulation after the economic crisis of the 1970s. It develops a theoretical framework regarding the state–civil society relationship, utilising the perspectives of Marx and Gramsci. It then deploys this in support and extension of Panitch's theorisation of corporatism. The thesis finds that the Accord and vanguard neoliberalism were internally-related elements of class rule, challenging the predominant view that they were distinct or competing policy frameworks. The coterminal relationship is described as simultaneously deepening corporatism and advancing neoliberalism. The thesis finds that the origins of vanguard neoliberalism in Australia, sit uncomfortably alongside the dominant understanding in the scholarly literature of neoliberalism's global development. The prevailing account posits that neoliberalism's global origins are based in a project of the New Right and chiefly coercively imposed on trade unions. While vanguard neoliberalism in Australia did share many of the key elements attributed to it by the dominant narrative—most particularly the multi-layered disorganisation of labour and state-led restructuring of the economy to restore conditions for stable capital accumulation—the thesis establishes, by way of contrast, that a social democratic government in a consensual agreement with the labour movement was primarily responsible for its implementation. The thesis finds that destabilising the dominant narrative, through highlighting commonality and divergence across geographic locations, can further specify and enrich the conceptualisation of neoliberalism. Humphrys, ET & Tietze, T 2014, 'Qantas and job losses: the reality of union decline must be faced', The Guardian. Humphrys, ET 2011, 'Beyond a Joke: Bogan Loathing Brings us All to Shame', ABC The Drum Opinion. Humphrys, ET & Tietze, T 2011, 'The Carbon Price Debate as Smokescreen for Inaction', ABC The Drum Opinion. Humphrys, E 2011, 'From Offence to Defence: The Australian Global Justice Movement and the Impact of 9/11'.